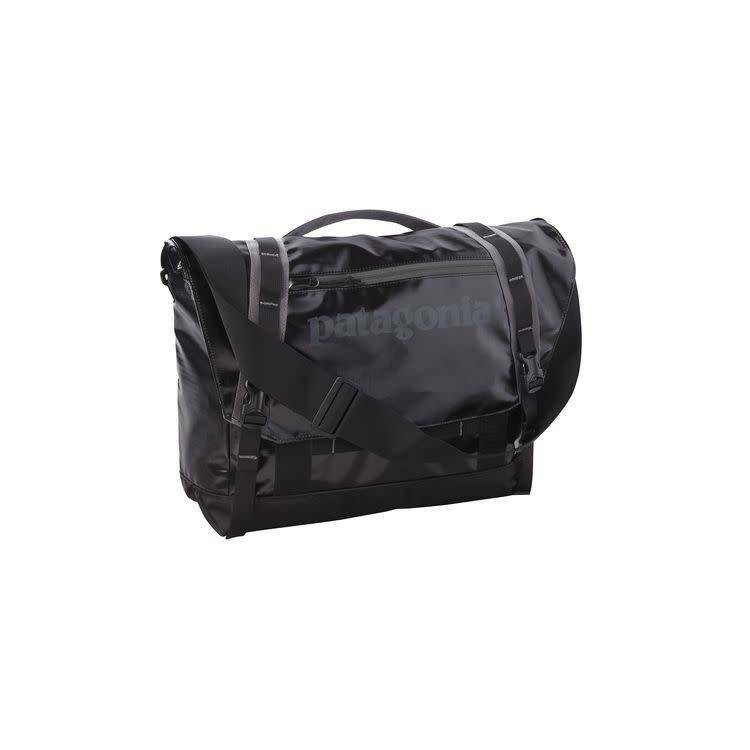 Made with our infamously tough Black Hole® Duffel fabric, this compact shoulder bag is highly water-resistant, superdurable and designed to carry the fundamentals, whether you’re traveling via bike, rails or plane. The top flap opens to expose the main compartment, which holds your bulkier items—rain shell, paperwork, snacks. A padded sleeve inside protects most 15" laptops and tablets from the wear and tear of going places. Interior mesh pockets, including a stealthy zippered pocket, provide a secure location for pens, passport, lunch money and the thank-you note to mom you’re planning to finish. 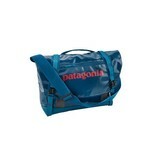 A handy exterior pocket opens via a moisture-shedding, reverse-coil zipper on the top flap. This bag carries with a fully adjustable shoulder strap or a reinforced top-mounted handle, and has lash straps to hold a bike lock. Made from 13-oz 450-denier 100% polyester ripstop (50% solution-dyed) with a TPU-film laminate and a DWR (durable water repellent) finish.